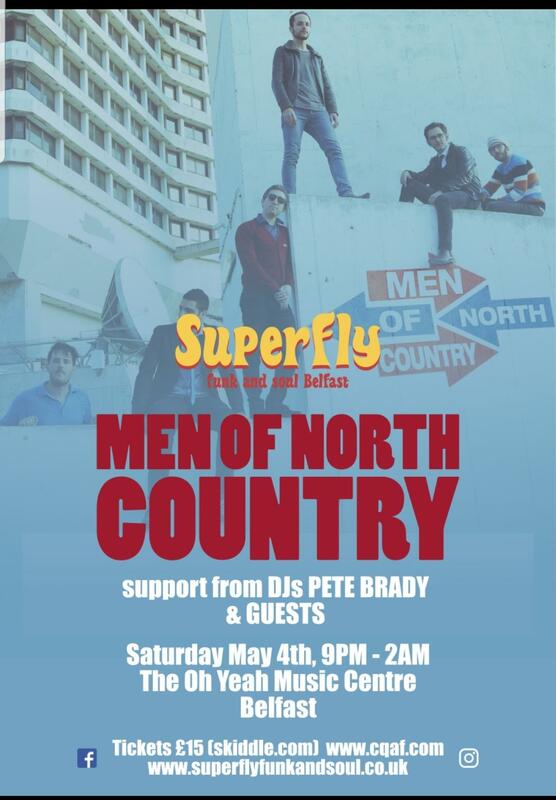 Men of North Country have been described as 'Basically Soul with influences of Mod '79 sounds and a little bit of Punk.' Within their music, you can clearly hear influences of The Teardrop Explodes, The Style Council and Dexys, along with a nod to their 60's favourites, Al Green and Gloria Jones. They are firm favourites of BBC Radio's Craig Charles and as well as having embarked on 7 successful European tours to date, have also released 4 singles and 2 full-length albums.